With another international break upon us, and a third of the season almost down, now seems like a fine time to run Pies’ Team of the Season… so far. 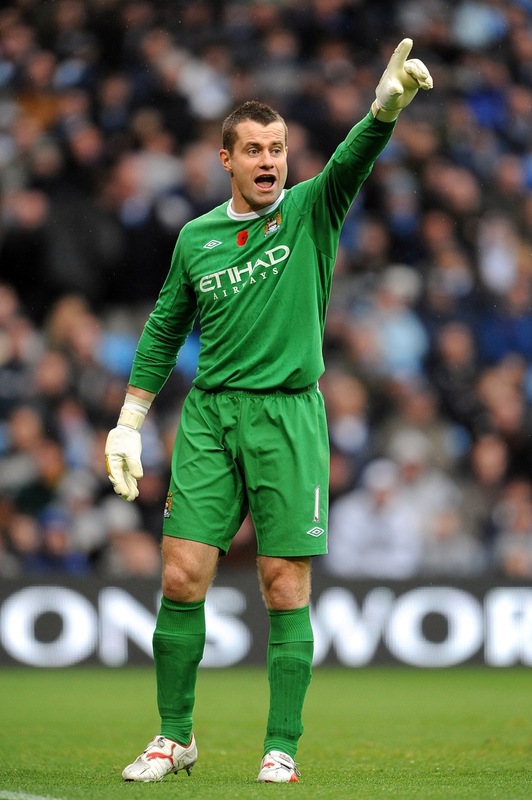 Shay Given (Manchester City) - Just when he thought he'd found a decent back four to play behind, along comes Wayne Bridge and Joleon Lescott. No matter, Given has been as brilliant as ever. And that lot would be managed by Burnley gaffer Owen Coyle, who is overachieving at Turf Moor. Agree, disagree? Who would be in your team of the season so far? Hard to argue with any of these, great call putting Andy Reid in there, he’s been fantastic for Sunderland so far. Very solid squad. Good to see that no Red Devils made the list. no thumbnail gallery yet Ollie ? I’m sorry to put this on the table again, but the pics take ages to load (nearly 1 min per pic). Reading a whole article is quite daunting at this rate. Wigan’s Momo Diame needs a mention. Looks absolutely sensational, far too much like Patrick Vieira for there not to be some dodgy ethical questions about cloning in France. Hugo Rodallega deserves to be mentioned as well, destined for a great future in the game if his form so far is any indication. Just one thought though – I wish ‘Team of the Season’ type awards were given for completely outstanding seasons. As in, don’t just give it to an exceptional player having their average season, start including average players having exceptional seasons. After saying that, this team comes closer than any other I have ever read, Reid and Roger Johnson are great shouts. @ Ted: 1 min per pic – really??! I know we can be slow, but not that slow. Will look at upgrading server, and sorting out thumbnails too. I tried again: Glenn Johnson popped up just after a few seconds. Yeah, seems to be big spikes when it goes very very slow. Apologies. An obvious absence on your list is Torres. In spite of the injury problems, is scoring goals left and right. Defenders will be shaking in their boots when he’s actually fit. shay given? he just gave up 3 to burnely, is that a joke? vanpersie has shown heart but there is no way he is the best in epl as of now, rooney has shown way more progress than vp. glen johnson? how can you consider anyone from liverpool after their horrid showing this season? @ Hannah: Torres got close, obviously, but the two form forwards are clearly Drogba and Van Persie – I don’t think anyone can argue against that. @ Alex: Classic hindsightism. You’re the sort of fan who changes your mind after one game. What, because Given conceded three v Burnley, that means he’s not having a good season!? Absolute nonsense – you don’t know what you’re talking about. And because Liverpool are having a below-par season, NONE of their players can be playing well… hmmm, really? As for Rooney, see my comment to Hannah. Well I think we can argue that Torres has been better this season than either Drogs and van Persie. Johnson???? ARe you kidding, he can’t defend! Surely you have to weigh up assists as well as goals for the strikers. I admit that Torres has been in fantastic form but RvP has scored goals and assisted a lot more than Torres or Drogba. As much as i dislike the fella, Darren Bent has been in great form this season. Or maybe add ‘Red Beachball’ on the subs bench?! is dis a joke ? shay given ?